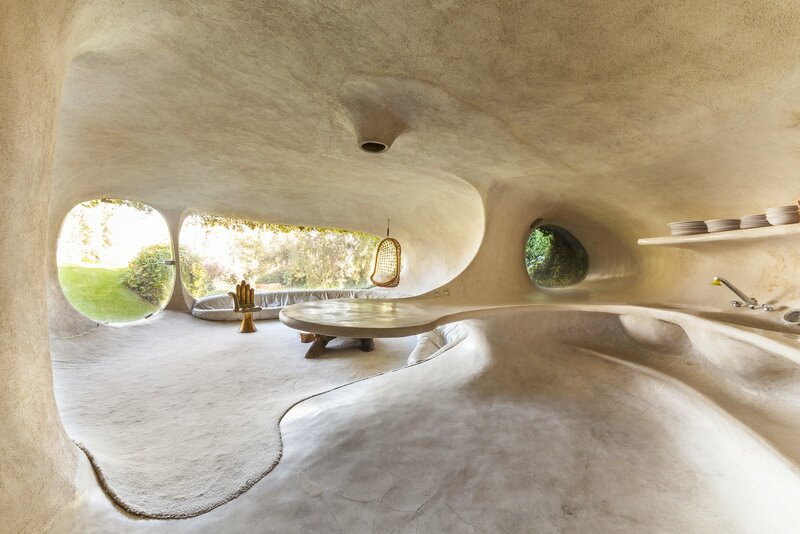 If you have ever doubted that architecture is not creative and artistic, Javier Senosiain is here to prove you wrong with his masterpiece. 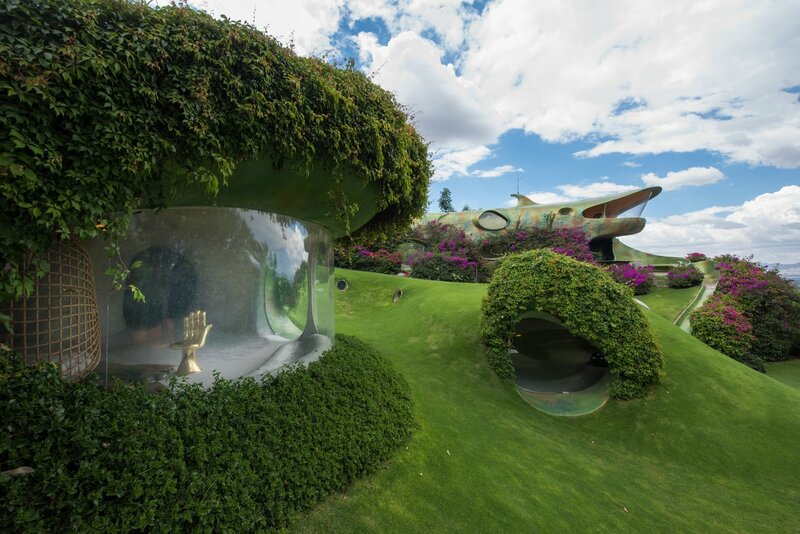 A hilly site near Mexico City has become the perfect place for the marvelous home that Javier constructed – a house resembling a peanut. 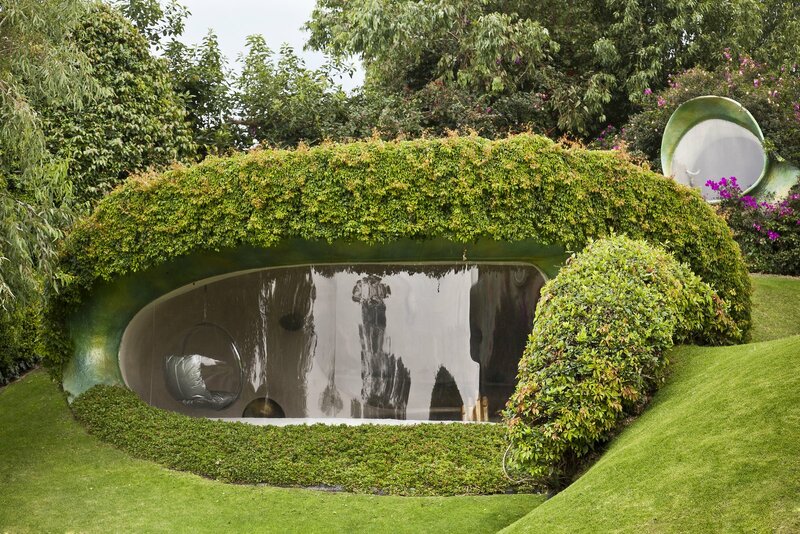 There are green dunes and lovely trees encompassing the entire place where this peanut-shaped house fits perfectly as a home and remains almost invisible. There’s no surprise why it has drawn so much attention since 1984 – the year of its completion. 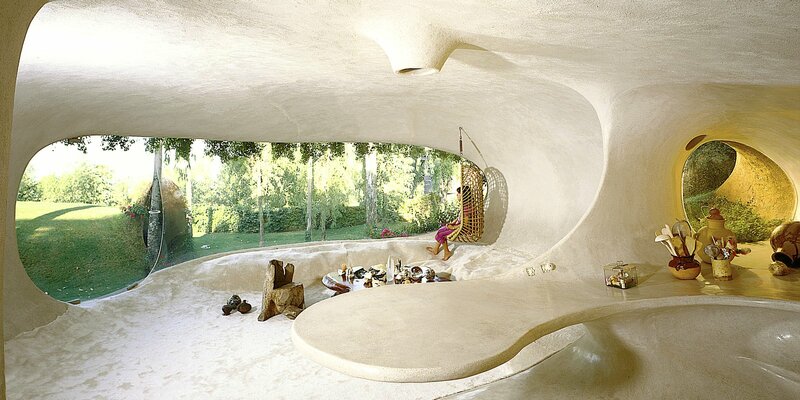 Even back then, this 1,873 square foot organic house was seen as something quite ahead of the times. 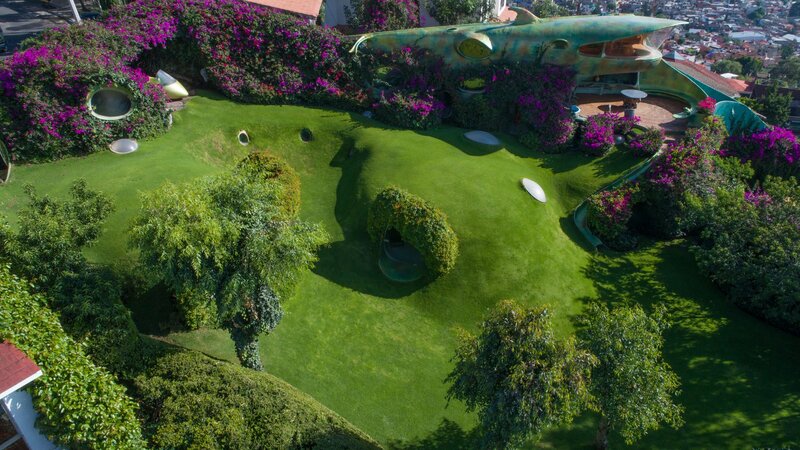 The house is so seamlessly put together in the natural setting that if you walk in the garden, you might even walk on the roof of the house without realizing it. 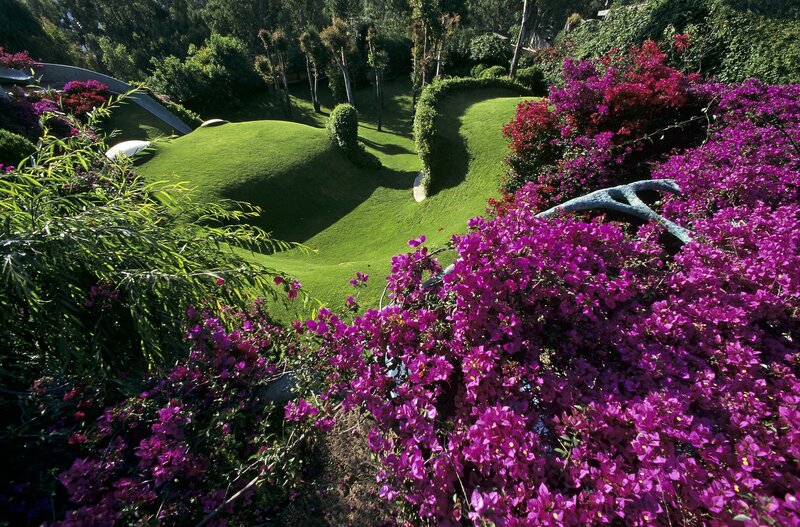 That’s the beauty of the Mexican architect – he has been able to use natural settings and build houses inspired by the shape of a snake, mushroom, shark, and even flowers. 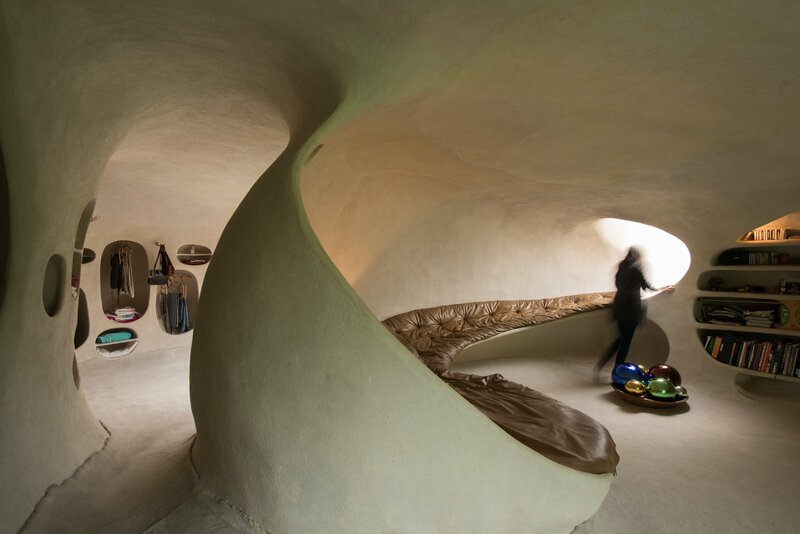 The organic house is modeled after the shape of a peanut shell, which makes it quite spacious. 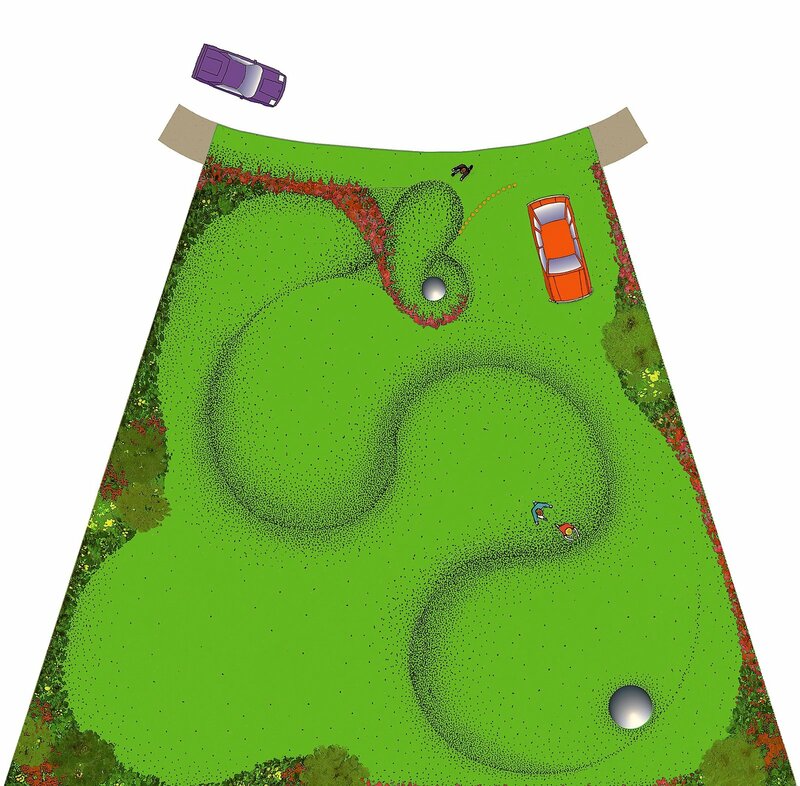 It has two oval spaces which are connected by a narrow passageway. 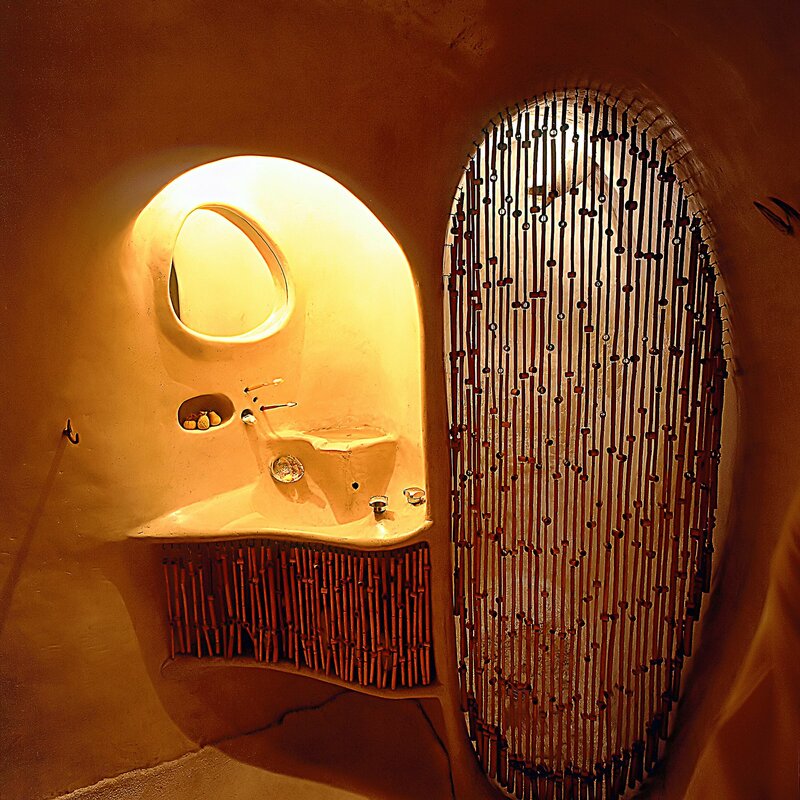 One of the chambers can be used at night and is there for privacy, while the other is bright and used for social purposes. 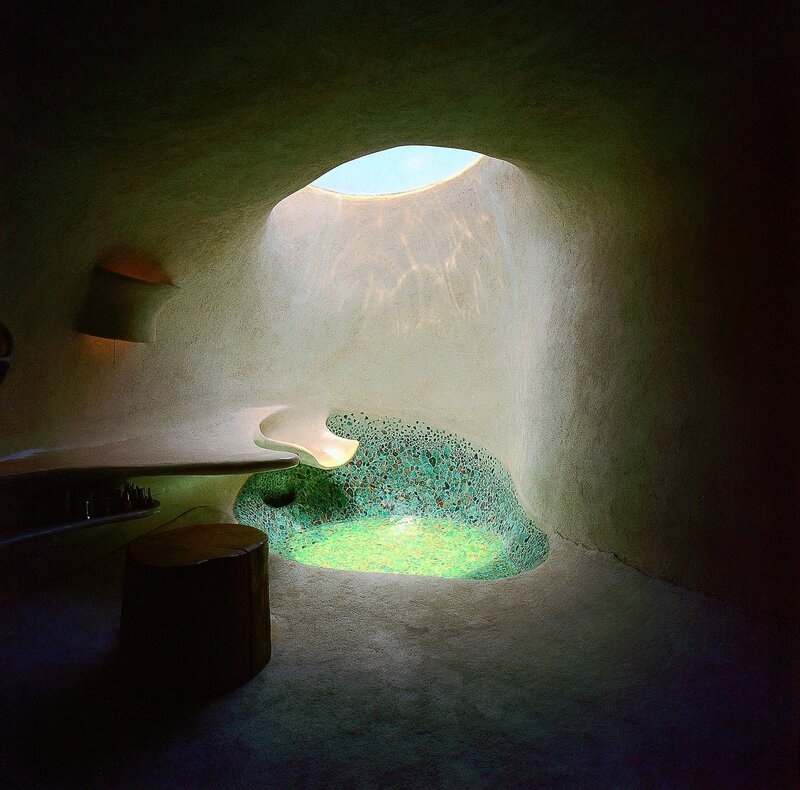 While the inside might look like a cave, there is actually a large window which opens up to a beautiful landscape full of greenery. 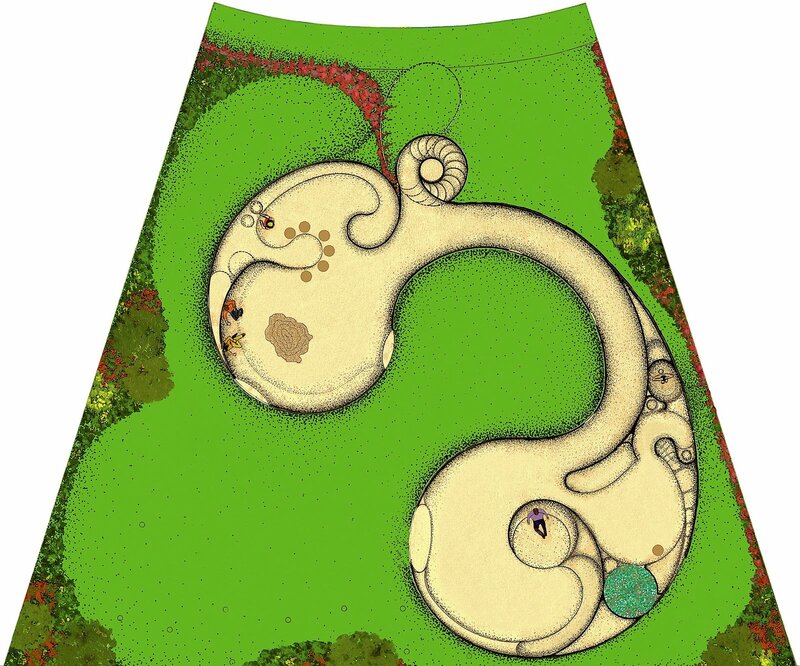 Javier has made it a point to integrate all the essential elements of a house like the dining room, kitchen, bedroom, bath, dressing room and living room within this art piece. You won’t feel out of place at all. For Javier, the purpose of the house was to have a psychological and physiological clean-up. With so much pollution and stress running wild all over the world, this house in a wonderful green area can act as a refreshing resort. The insides have been made cooler and the house is protected from sunlight, noise, and dust. It’s the ideal peace haven if you wanted one. The staircase leads down to the sleeping rooms, too, which are a bit darker to aid sleep. 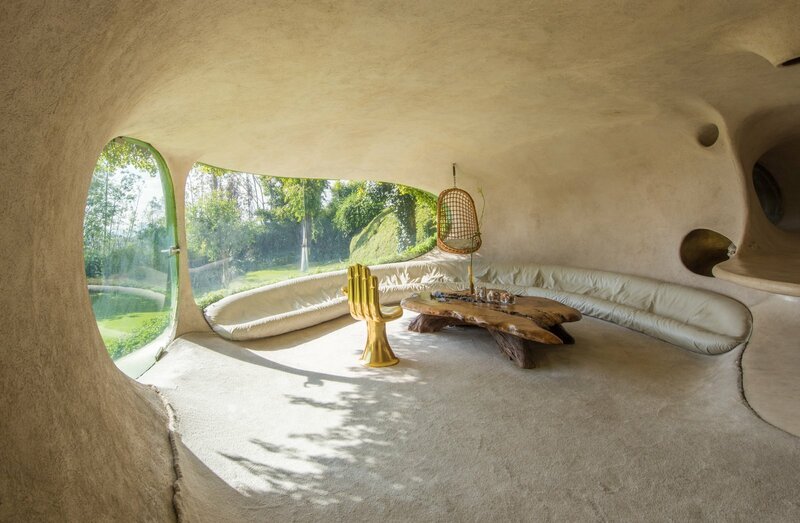 Otherwise, this half-buried house is quite sunny with proper ventilation systems. 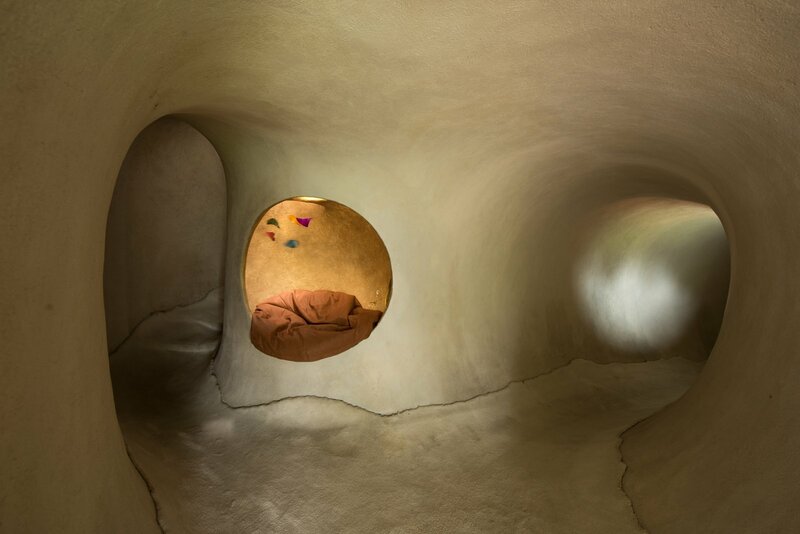 It is perfectly engineered for human use and may look like a cave, igloo, or something troglodytes made out of the earth. But you will always feel like it is a masterpiece. 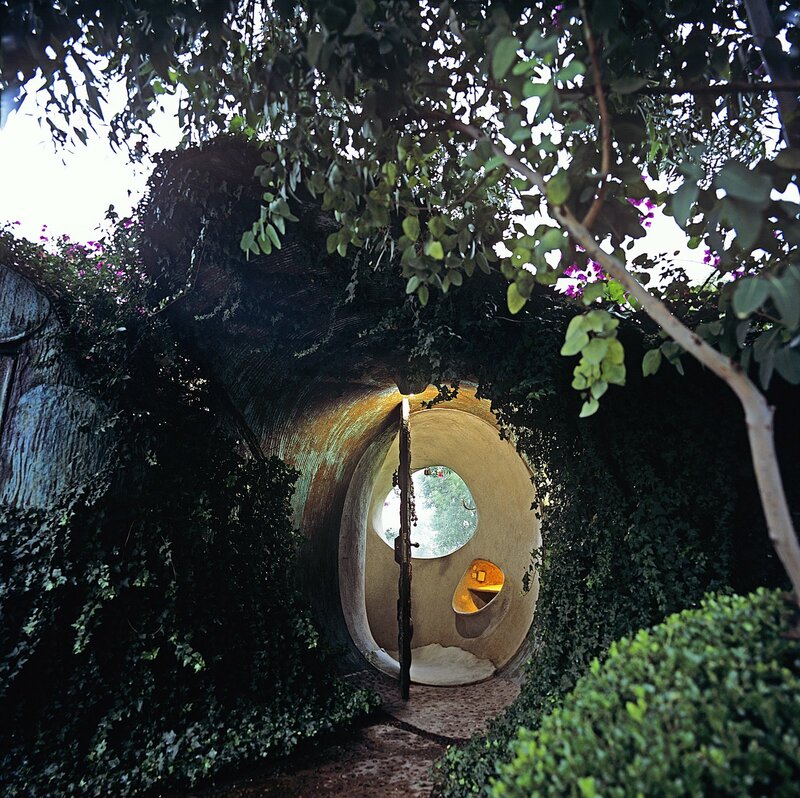 Javier Senosiain has developed a perfect hobbit house. Are you craving to live in it once?